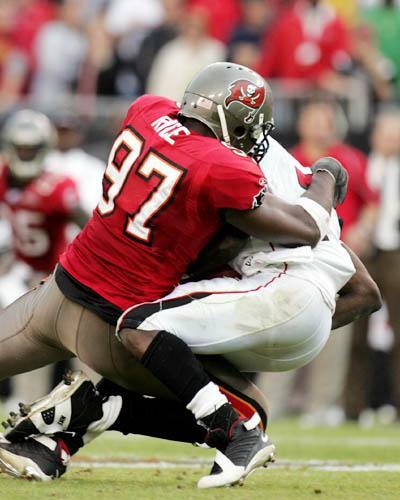 The choice of the best-ever Buccaneer to wear this number is not a difficult one, as although Simeon Rice did wind a few fans and media up alike with his style during his time in Tampa Bay, there have been few better pure pass rushers than him to wear the colours. 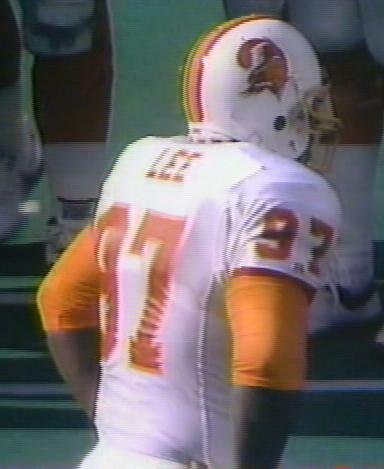 Shawn Lee was a solid defensive line back-up during his two years in Tampa whilst Darryl Grant was a mere shadow of the player he was in Washington when he arrived to play for the Bucs in 1991. Well less like a shadow and more like an overweight lump. 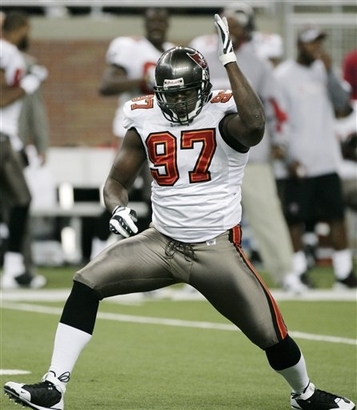 Jeff Hunter did little to impress having arrived from Miami, but Tyoka Jackson had some nice moments playing for Tony Dungy and continued his career after leaving the Bucs with the St.Louis Rams. Jimmy Wilkerson, was one of the real pleasant surprises from the 2008 season having been an unheralded free agent arrival from San Francisco in the off-season. 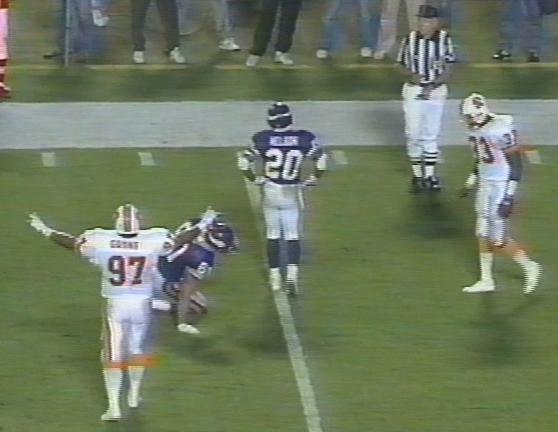 And of the most recent owners, Erik Lorig wore 97 for a game before switching from defensive end to fullback, and the likes of Alex Magee, George Johnson or Matthew Masifilo have not exactly been show-stoppers when they have made it on to the field. 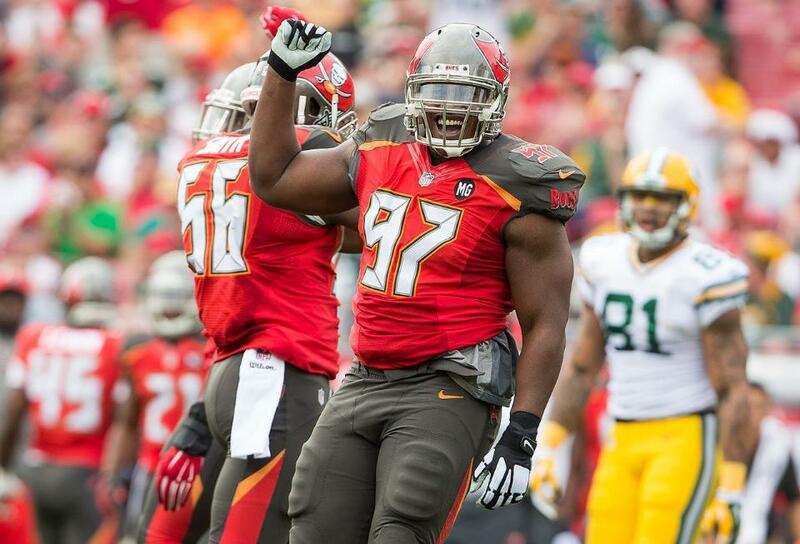 Akeem Spence was the most owner of the jersey and started a fair number of games on the defensive line since being drafted in 2013 but he was a pale shadow of the pass-rush threat that Rice was to opposing quarterbacks.